Emerald Nuts $1.49 at Smith's! 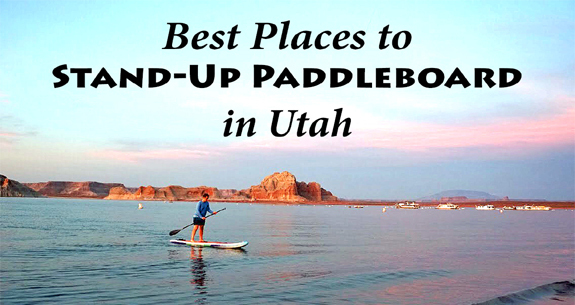 Where are the best places to SUP in Utah? 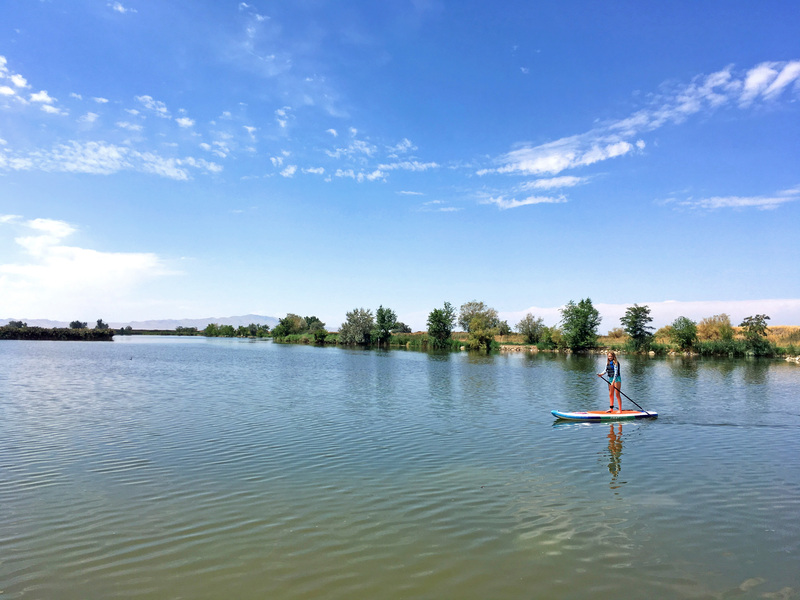 Utah is known as an awesome place for outdoor adventures and Stand-Up Paddleboarding (SUP) is quickly gaining popularity as a great adventure on the lake. We recently purchased a paddleboard and have loved taking it out for an afternoon with the family. Bear Lake (Garden City): This is a beautiful deep blue lake located at the Utah/Idaho boarder with beaches available in Utah or Idaho. Offers great sandy beaches at both Rendezvous Beach (Utah) and North Beach (Idaho). Restrooms: Flush restrooms along with showers are available at the Rendezvous beach. North Beach includes outhouse restrooms. You can also find outhouses at various parking lots along stretches of side road around the lake. Fees: Rendezvous beach (Utah location) is a $10/day. North Beach (Idaho location) is $5/day. You can find parking lots along the roadside as you travel around the lake that do not require any fees. Pineview Lake (Ogden): Just 15 miles from Ogden. There are six access points along this lake with camping available at the Anderson Cover location. Fees: Paid and Free access points available. Fees average $12/day. Causey Reservoir (Weber County) Located near Ogden and Huntsville. This is a beautiful reservoir, however, the shoreline is mostly rocky. No motorized vehicles are allowed on this water, which makes it perfect for paddleboarding. You will also find some great cliff jumping locations. Restrooms: Available on South side. Tony Grove Lake (Cache County) Situated on the Logan Canyon Scenic Byway. Campground is located on the southeast shore. A self-guided nature trail circles the lake. There are 3 picnic sites on the east shore of the lake along with paved parking. Bountiful Lake (Bountiful) - This is a little community fishery lake that is large enough for paddleboarding around. No motorized vehicles are permitted and because it is mostly used for fishing, you probably don't want to swim in it (although there were some kids swimming there the day we visited). It is beautiful to paddle around on with lots of varieties of fowl flying around. There isn't any sandy beach area, but there are picnic tables, a pavilion, and grassy areas. Great Salt Lake (Magna) The largest salt water lake in the Western Hemisphere, and the eighth-largest terminal lake in the world. It is also a popular lake for bird watching. Boat rentals and camping are available. East Canyon Reservoir (Morgan) Just outside of Salt Lake, this is a great spot for camping or there are also cabins or yurts available to rent. Pavilions are also available for day use. Rockport Lake (Summit County) About 45 min east of Salt Lake. This is a beautiful reservoir that is also popular for camping. If you're the kind of person that finds yourself at watery summer fun spots, consider grabbing the Waterproof Case, 2 Pack Ace Teah Clear Transparent Universal Waterproof Case for iPhone 6S Plus 5S, Samsung Galaxy S6, Note 5 Nexus 6p 5x - Black, White I've found mine to be useful on various trips to the waterpark as well as on a recent cruise. It also has a handy clip to keep it from getting lost. Jordanelle (Wasatch County) Just north of Heber City. This reservoir includes sandy beaches along with pavilions and picnic tables. 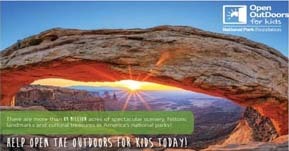 Camping and cabins are also available for a fee. Deer Creek ( Wasatch County) About 1 hour from Salt Lake and and 1 1/2 from Provo. Nearby campsites are available with beautiful views of Mount Timpanogos. 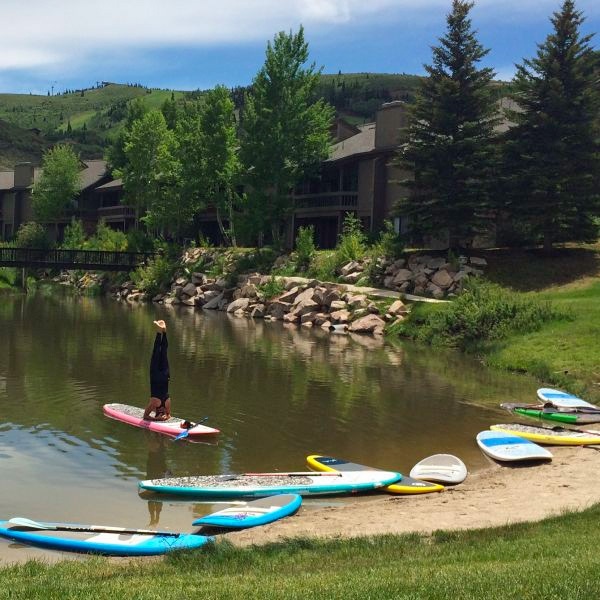 Deer Valley Pebble Beach (Park City) This is a great place to learn paddle boarding as there is a grassy lounging area and sandy beaches with no motorized vehicles. You can find paddle boarding rentals and lessons provided here. Smith and Morehouse Reservoir (Kamas) This is a hidden gem with nearby camping available. Opened to motorized vehicles, though a wakeless speed is enforced. There is also a rope swing located across the lake from the main boat launch. Echo Reservoir (Coalville) Located less than an hour from Salt Lake. Camping and water toy rentals available including paddle boarding and kayaking. Blackridge (Herriman) This is a small reservoir within the neighborhoods of Herriman. Includes sandy beaches, playground, and pavilion. Parking is available within the parking lot, however, street parking within the neighborhood must have a permit. No motorized vehicles permitted on the reservoir. Tibble Fork (American Fork Canyon) This fresh water lake has beautiful crystal blue water just 10 minutes up American Fork Canyon. 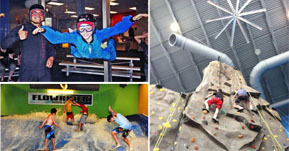 This is a popular location that can get busy on Summer weekends. No motorized boats permitted. Silver Lake Flat Reservoir (American Fork Canyon) Just 15 minutes past Tibble Fork and less crowded. There is a 3-mile stretch of dirt road to get to Silver Lake Flat. These canopies are perfect to stay shaded on the beach and are a must have for the lake. Highland Glen Pond (Highland) Offers sandy beaches and plenty of grassy areas. Includes a playground, pavilions, and volleyball. There are also trails around the pond. Spanish Oaks Reservoir (Spanish Fork) This is a small reservoir perfect for fishing, paddleboarding, and kayaking. Motorized vehicles are not allowed. 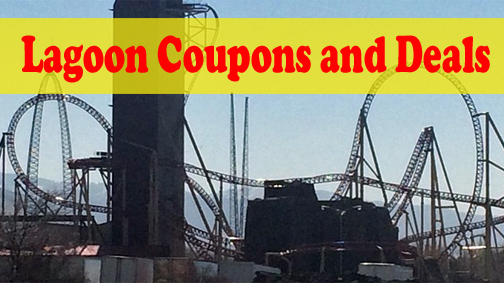 Includes a park, pavilions, gas grills, and picnic tables. 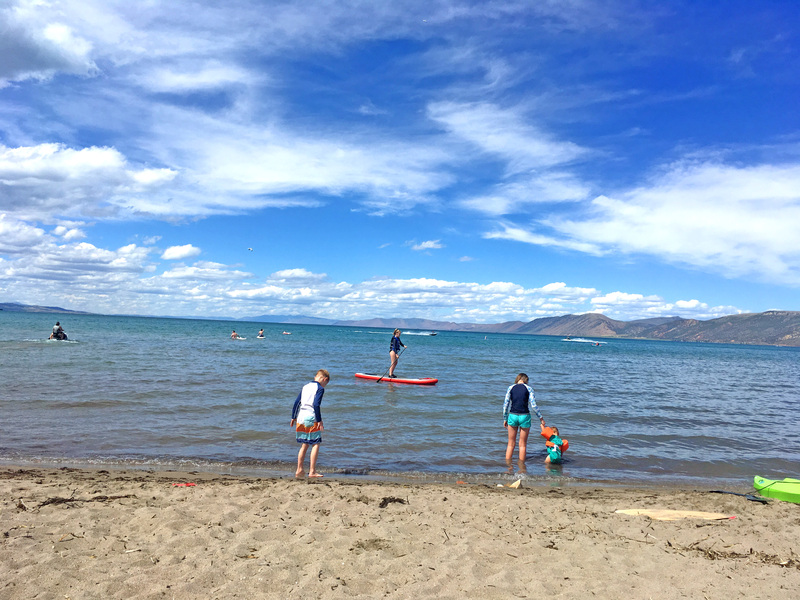 Utah Lake (Provo/Orem) Utah's Largest fresh water lake is an excellent outlet for swimming, boating, and paddleboarding. 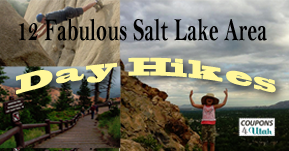 Payson Lakes (Spanish Fork) Located just 12 miles from Payson. There are sandy beaches and a paved trail around the lake. 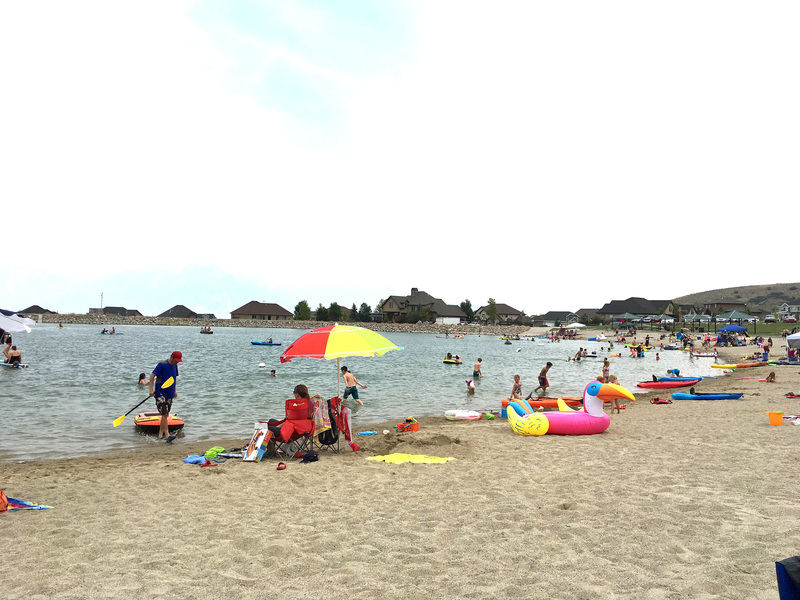 Bartholomew Park (Springville) This popular lake has nice sandy beaches, pavilions, areas to play volleyball, horseshoes, and ring toss. Fees: parking permits are free for residents, otherwise, there is a $10/day parking fee. Manila Creek Pond (Pleasant Grove) This lake has nice sandy beaches and fishing. It is not opened to motorized vehicles. 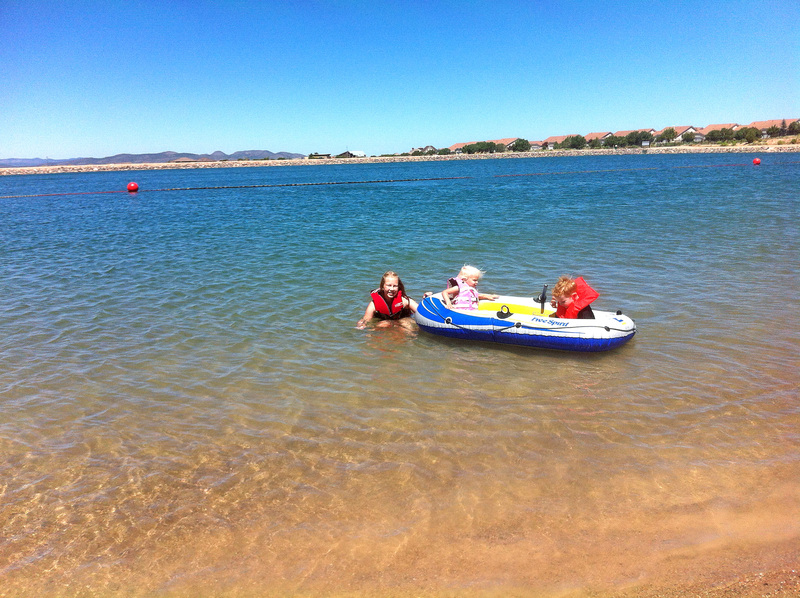 Yuba Lake (Levan) Offers camping, warm waters, atv trails, boating, and sandy beaches. Zipline is also now available. If you enjoy paddle boarding, you may want to consider buying your own paddle board. I would recommend an inflatable paddle board that allows you to easily transport it without having a rack or truck. Also, many inflatable paddle boards come with a backpack that allows you to easily carry it to shore where you can then quickly pump it up. Amazon has some highly reviewed inflatable paddle boards for as low as $229. Gunnison Bend Reservoir (Delta) features a boat dock, shady picnic tables, and a covered pavilion. Huntington State Park (Price) This beautiful lake is surrounded by grassy green land and popular for waterskiing. Lake at the Hills (Cedar City) This is a fun little reservoir within the neighborhoods in Cedar City perfect for fishing, non motorized boats, paddleboarding, and kayaking. Includes sandy beaches and kayak rentals. Sand Hollow (Hurricane) Sand Hollow is a beautiful lake set amongst the red rocks near St. George. Nearby camping is also available. This lake is also popular for cliff jumping. Quail Creek (Hurricane) - Just 9 miles west of Hurricane. Includes nearby camping. This lake tends to be a little less crowded. Lake Powell (Garfield, Kane, and San Juan counties) Located at the border of Utah and Arizona. This is a beautiful lake amongst redrocks and one of the few lakes available for house boats. 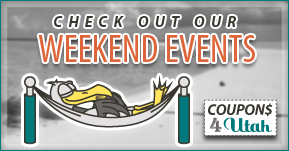 Various boat rentals are available along with campsites and hotels nearby. 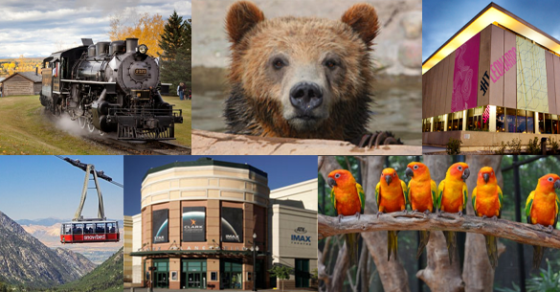 Want more news about activities and events going on in Utah? Join our Facebook Group. We love when you share the information in our posts but please keep in mind the images are our own copyrighted material. We ask that you contact us and give credit to the source before posting to another website or newsletter. Thank you.